Is feeling tired all the time normal? Reducing stress, getting plenty of rest and changing eating habits can help bring back energy in ones lifestyle. Being exhausted, or feeling exhaustion at the end of the day, as well as being lethargic are all symptoms of medical fatigue. It is important to understand the difference between physical and mental weakness, simply because physical fatigue is the inability to continue functioning at the level of one’s normal abilities and can be contributed to over exertion from heavy lifting or exercise from everyday activities whereas mental fatigue, on the other hand, can result from burn out of over taxing the brain. Some of the reasons for the condition can be part of nutritional disorders, malnutrition from a protein deficiency or vitamin deficiency. It is recommended to utilize vitamins such as thiamine, B12, B6, folate, and vitamin C. For those that find that they are low in potassium, magnesium, calcium or low sodium some dietary adjustments should be all that is needed. Unexplained fatigue could be from psychological symptoms such as depression, anxiety, grief and stress if this is the case a cure could be just changing ones environment or rekindling a passion for a favorite hobby or interest. Sometimes helping someone who is in a worse situation than your own will take your mind off your lack of interest or ambition. Something as simple as volunteering, or learning a new skill could make the difference between reducing the psychological symptoms of fatigue. Underlying causes for fatigue syndrome, can be identified by a medical professional, getting the necessary tests is recommended before trying any remedies or alternative medicines. Increase stamina and strength naturally if you find that you have difficulty relaxing or experience chronic physical fatigue, can be improved by eating foods that supply energy to the body to feel energetic and boost energy. It is recommended to avoid drinking carbonated drinks or too much coffee and tea, in large amounts, and over extended periods of time, caffeine can lead to dependency with physical and mental conditions such as nervousness, irritability, anxiety, tremulousness, muscle twitching, insomnia, and headaches. It is best to drink water with lemon juice and honey. Get sufficent rest, practice relaxing, eat smaller meals, take walks during the day. If feeling stressed, focus on something else for a few minutes to give yourself a break. Disclaimer: This is for informational purposes only and is not meant to take the place of medical advice, treatment or diagnosis from a health care professional. It is recommended to consult a doctor before taking any medications. The CDC recommends that persons with symptoms resembling those of CFS consult a physician to rule out several treatable illnesses such as sleep disorders, depression, alcohol/substance abuse, diabetes, hypothyroidism, mononucleosis (mono), lupus, multiple sclerosis (MS), chronic hepatitis and various malignancies. It is important to note that medications can also cause side effects that mimic symptoms of CFS. Studies show that the most common diagnostic criteria and definition of CFS for research and clinical purposes were published by the United States Centers for Disease Control and Prevention (CDC). 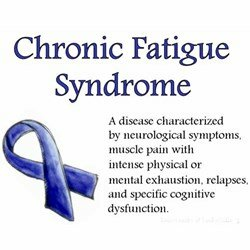 In the case of the CDC definition of CFS requires the following criteria of a unexplained, persistent fatigue unrelated to exertion and not substantially relieved by rest, that causes a significant reduction in previous activity levels. It has been recorded that We all feel tired from time to time. Usually, it’s obvious why we are tired. In most cases We take the time to rest and get over it quickly. There are situations where tiredness can be a serious problem such as when:1. When you realize there is no obvious reason for it2. you notice that it goes on for a long time3. you are worried that it is getting to the point where you can’t do anything at all.4. The fact is that this sort of tiredness can stop us from enjoying our lives. Readable, up-to-date, research based information on feeling tired all the time, written by the Royal College of Psychiatrist. Expert-reviewed information summary about fatigue, a condition marked by extreme tiredness and inability to function because of lack of energy, often seen as a complication of cancer or its treatment.